The government of Japan is considering either evaporating the tritium-laced water from the Fukushima nuclear plant, or storing it underground. Tritium is a relatively harmless radioactive isotope, and plant officials originally wanted to release the water into the nearby ocean. Area fisherman have blocked that proposal, saying they are concerned the water is not as harmless as the company says it is. 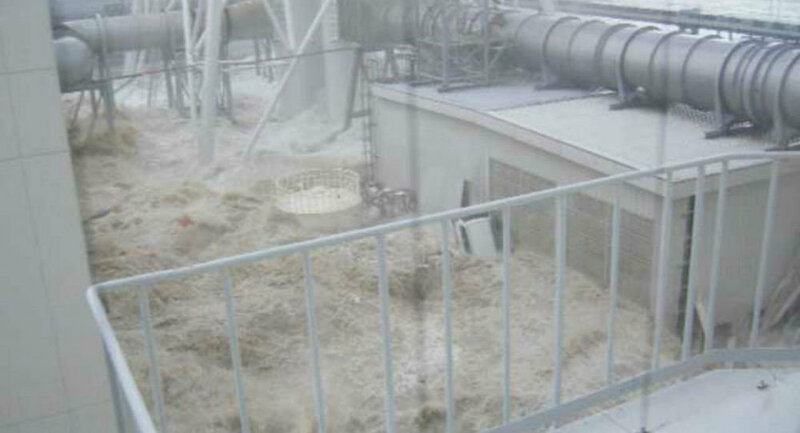 The plant is currently holding tons of water containing tritium from when it was impacted by a tsunami in 2011. With plans currently stalled to release the water into the ocean, plant officials are considering letting the water evaporate or placing it underground, decommissioning officer Naohiro Masuda told Reuters. Part of the problem, says Masuda, is that the plant has a lot of water and an evaporation method would take a long time. The company, however, is committed to resolving the situation as soon as possible, Masuda recently said in an interview with the Japanese news outlet Asahi Shimbun. "Many local residents still cannot return to their homes,” he said. “I will be fully committed to solve the problem at the site where the real work is being done." Fukushima was damaged by an earthquake and tsunami in March 2011, and three reactors underwent meltdowns. Water was flushed over the wrecked reactors to keep them cool, but no technology exists to remove tritium from the contaminated seawater. Masuda says there is no timeline on which action to take – evaporation or underground storage – but that the company will soon be making a decision.